*Promos ran all weekend for a “mega announcement” to be made by Prince on “Good Morning America” Monday. Well, only Prince can deliver an announcement without actually being present to deliver it. 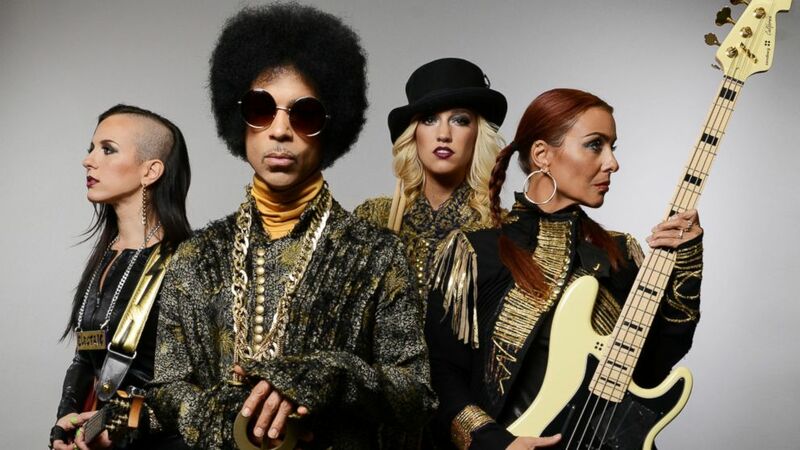 Instead, his all female backing band 3rdEyeGirl showed up outside of “GMA’s” Times Square studios to announce that the Purple One will release two new albums in September…on the same day. “Art Official Age” follows up his 2010 release “20Ten,” and the long-teased “Plectrum Electrum” is a collaborative project with 3rdEyeGirl. A statement from Cameron Strang, Warner Bros Records Chairman and CEO, reads, “Prince is one of just a handful of visionary artists who have truly reshaped and redefined modern music and culture. A number of songs that Prince has released in recent months will appear on the new albums, both due on Sept. 30.